Michael Heenan really appreciates the support that TITEB has given him over the years. He really likes working in the sun and sweating it out a bit, so his first job was at the farm where he became a supervisor, and then construction of the Women’s Centre. He’s done as many courses as he can manage, including Horticulture Certificate I and II, a supervisor course, chainsaw course, and Certificate II and III in Construction. 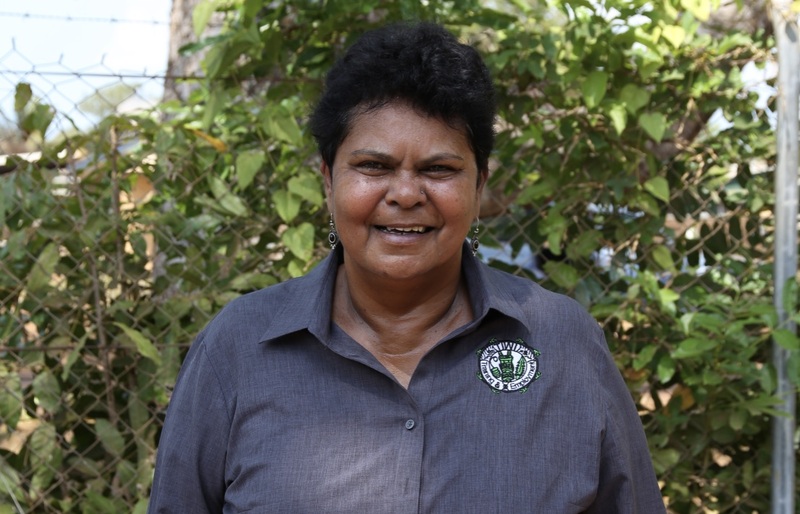 Today, Michael works at Tiwi Design as a groundsman. 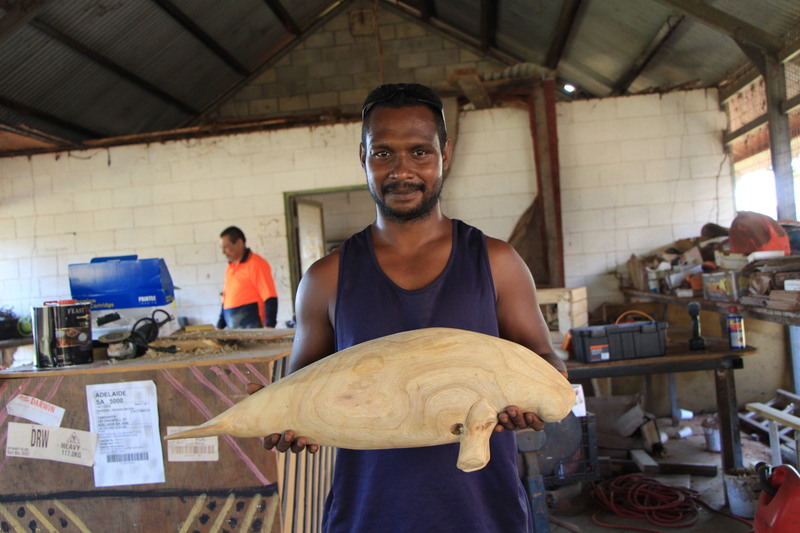 He also helps out collecting wood for the artists and is learning to do culture sculptures and carving. With Tiwi Design about to commence a new construction project (the Bathurst Island Cultural Precinct) there’s a chance Michael will get back on the tools. As part of the initiative, Tiwi Design will be engaging workers in the demolition and construction phase of the project.